Any device, any trade, any time. 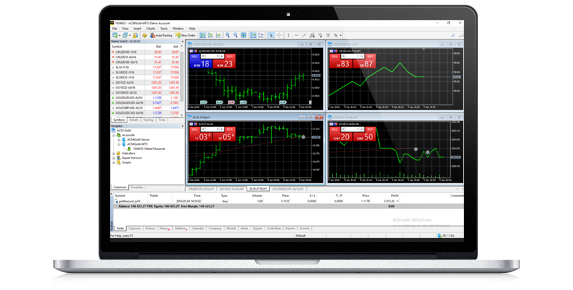 We offer a world famous multi-faceted trading platform, with in-depth training to help you get started. Trade, analyse, strategise and excel. The sky is the limit with MT5 in your hands. We’re based in Pakistan, and accept local currency. We’re serving up instant funds, fast payouts, top-notch support and training facilities. This is your home away from home. "The service of ACM Gold (Pvt) Ltd. is very nice. I like their customer support and other elements. The way they guided me in the begining till now is truly awesome!" We provide you with the first class online customer support, online training and regular research analysis. ACM Gold (Pvt) Ltd. is well equipped to deliver you the best of the trading world. With the membership of Pakistan Mercantile Exchange (PMEX) and registration of Securities and Exchange Commission of Pakistan (SECP), ACM Gold (Pvt) Ltd. is the most trusted name in the world of trading. The exclusivity is ready to be experienced by the help of local support office. Come and discuss your financial future.